1. Cut off the top of the persimmon and scoop out the pulp. 2. Put the pulp into a blender and blend for a few seconds. 3. In a small bowl mix the yoghurt with the muesli, then stuff the persimmon with it. 4. Serve with the persimmon purée on top. If you are looking for a simple and quick breakfast idea for your little ones, this is one good example. By making your own muesli, you’ll be able to avoid dried fruit (high sugar) and the roasting process, which denatures fatty acids – plus you get to control all the lovely ingredients. These fruits are bursting with flavor and Vitamin C, A and B vitamins. 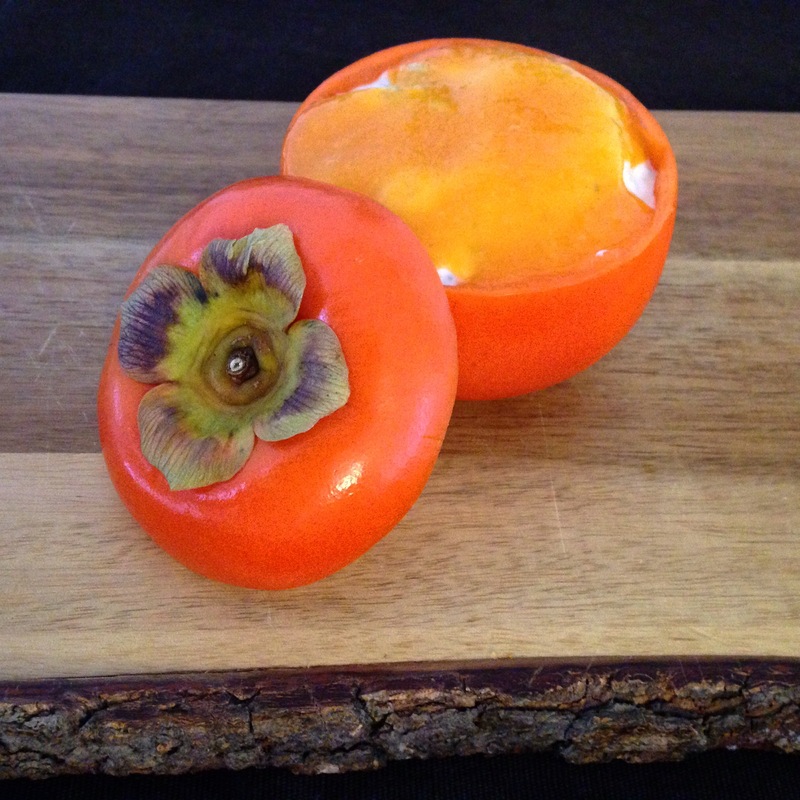 One little persimmon contains almost 17 mg of Vitamin C! This fruit is great to serve to your little one to aid in Iron absorption. It is also an energy-dense fruit. That’s why it is recommended for children, people playing sports and people who are physically or mentally tired.